At UNOBVIOUS we don’t believe in middle of the road, we believe in very special. To stand out with your brand, campaign or product, we believe that a solid strategy, combined with a fresh point of view and bold, quirky design will add unique values that will make your audience fall in love (again) with your brand. We love to think out of the box and challenge the status quo. By doing so, we can excite and give new energy to brands and teams. We create, together with you, the client, high quality and eye popping designs to revitalize your brand on it’s way to a new bright future. campaign design, magazine design, retail design and product development. BN Covermaterials commissioned Unobvious to analyse and restructure their collection and create a new identity for the brand and product range. After investigating several options on how to arrange the catalogue (for instance by colour, by series, by texture, by look & feel, etc), the final result is a brand new collection box, containing four collections: Heritage, Spectrum, Atelier and Textile. Heritage shows all the classic colours and qualities, while Spectrum has a variety of bold and subtile colours. And while Atelier focusses on special textures, Textile shows the linen collection. We named the four collections as well as the specific colours. And we designed the index on the back, to get a quick overview of the separate series. The new collections are presented in four concertina catalogues, which are brought together in the collection box. We also designed the packaging of the catalogues and the box. Each catalogue has a cover design that represents a selection of the swatches that are inside the catalogue. But when the catalogues are placed in the box, the designs of the individual catalogues match together as one. For the business cards, we thought it would be fun (and functional as well) to show a bit of the collection. So on each backside of a business card, you’ll find a swatch of the collection and the specifications. There are 8 different swatches, so you can collect them all. To inspire customers and designers on how the covermaterials can be used, we’ve also created some inspirational images. They can be used as visual content for the website, social media and brochures. So for each collection we designed 6 fake book covers. We’ve picked 6 covermaterials in colours that represent each collection and make an nice match together. The books were all made by a book binder, and after that we photographed the books as separate collections, as well as a whole. We’ve made a landscape composition of books and went through it with the camera from different angles. As if you are going trough a setting of giant books. 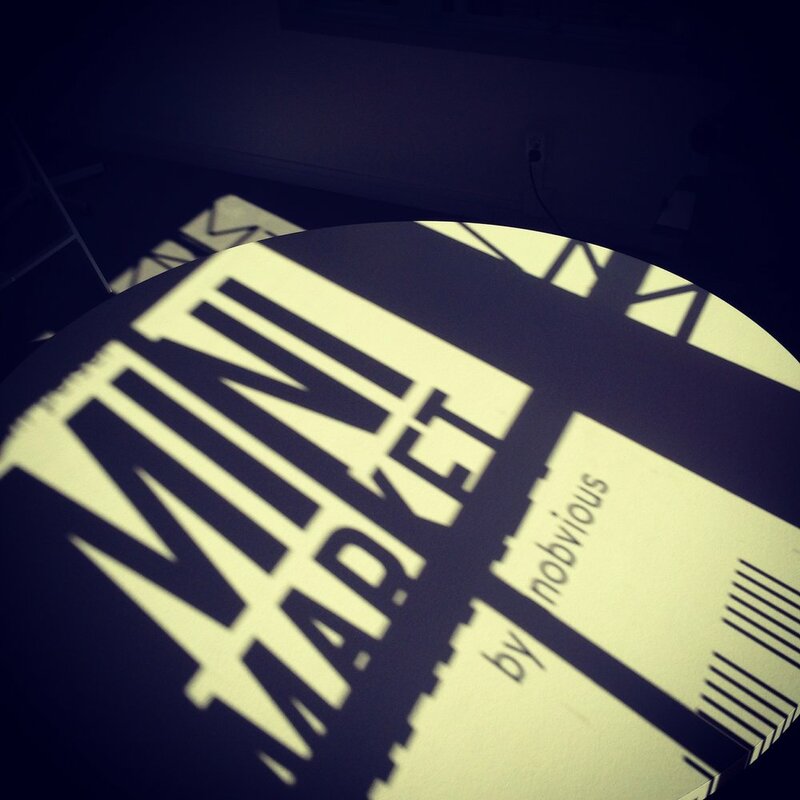 Finally we’ve designed the booth of the fair. The wall on the back features the new logo and a selection of swatches, referring to the design of the catalogues. On the left wall we present the four new collections by showcasing the books. While on the right side the two latest additions to the collections are being showed, the Liv and Rebel. 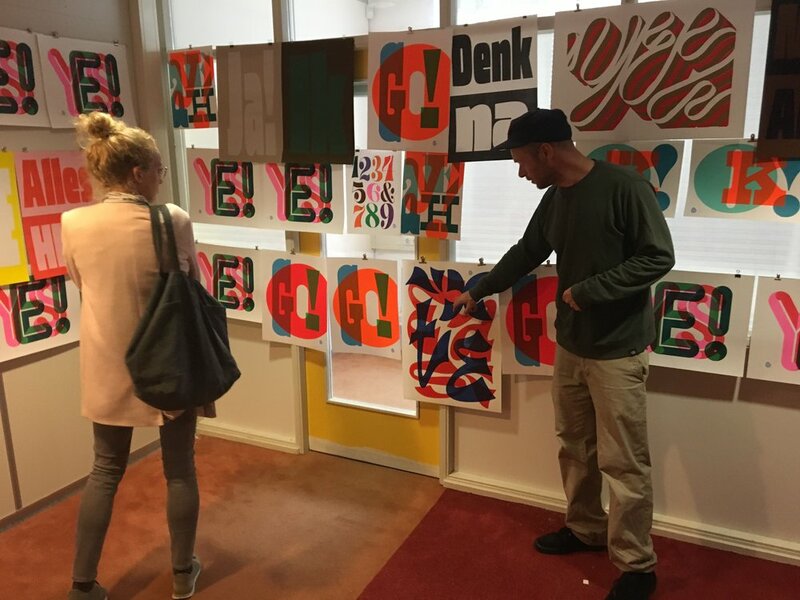 The 5th edition (2018) of Festival Designkwartier was organised by Creative Studio UNOBVIOUS and Edwin Pelser. UNOBVIOUS also did the branding and design. The festival is an initiative of Foundation designkwartier Den Haag. Festival Designkwartier mixes presentations, shops, activities, and exhibitions in the design field into an inspiring event. 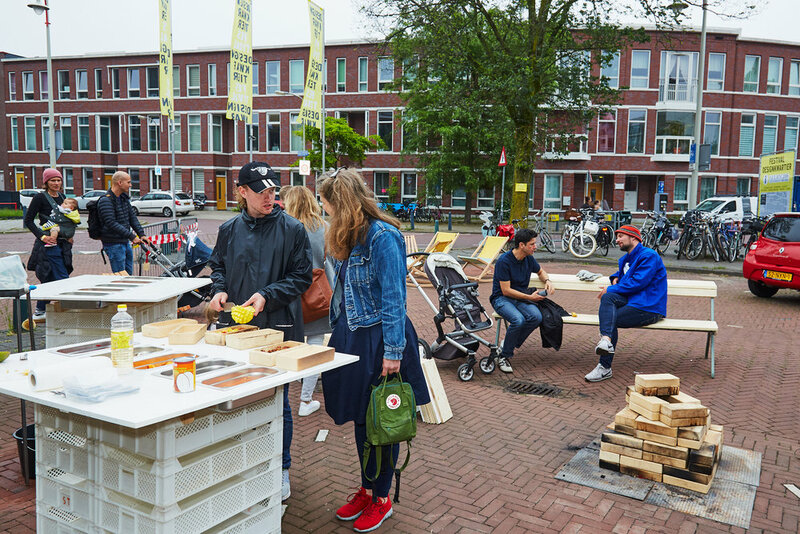 For three days, the Zeeheldenkwartier is the domain of leading designers and new talent with exciting projects. Over 100 (Dutch) designers were presented in about 80 locations in the Zeeheldenkwartier in The Hague. Unobvious created the visual identity for Edwin Pelser, a design shop with a strong focus on young Dutch design. We developed a logo, stationery set, newsletter, website, flyer and wrapping paper. Recently we updated the wrapping paper. The new concept is double sided, therefor usable on both sides. One side is strictly visual, a collage of photo's, drawings and silhouettes. The other side is textual and tells the stories of the products as shown on the other side. Two colors are used: red and fluor red. This design is also used for new flyers and stationery set. 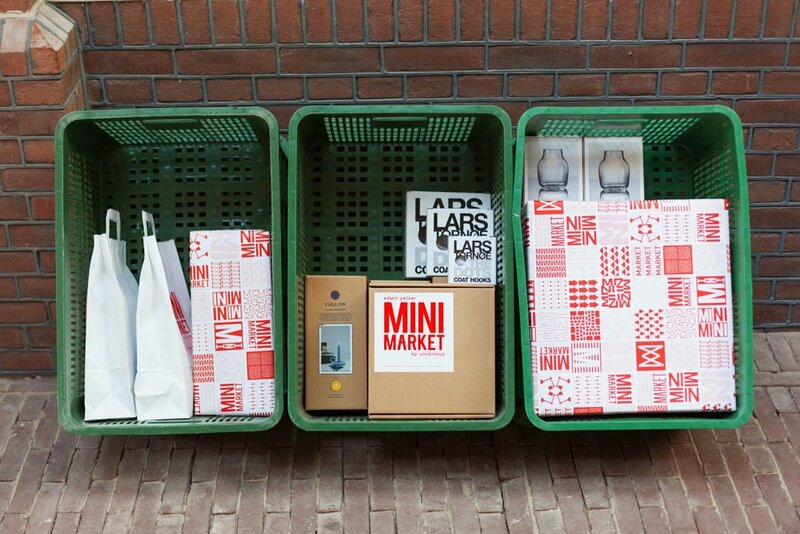 In this collaboration Unobvious developed a new retail concept: a supermarket for Dutch Design and some Scandinavian brands - The MiniMarket. Easy accessible and friendly priced. Here you can shop for design the same way you shop for your groceries. 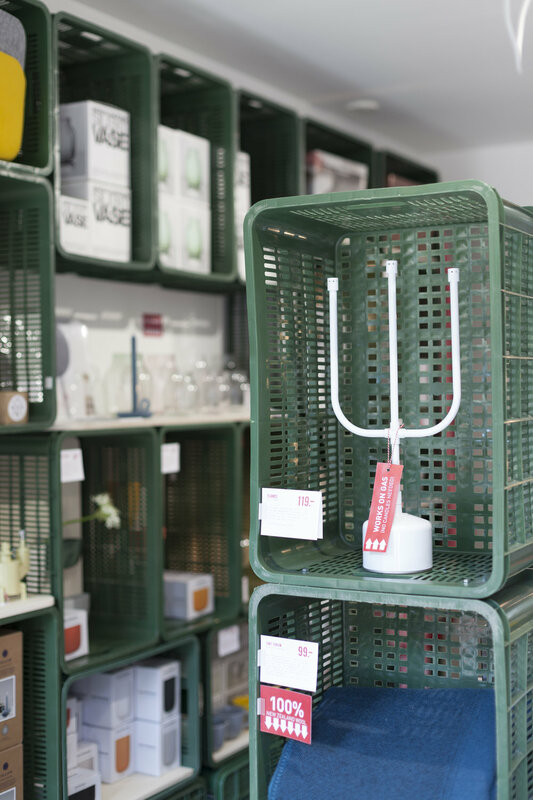 Goods are presented in a bulky way, all stock is in store. Prices are displayed well, a product-discount is offered weekly. 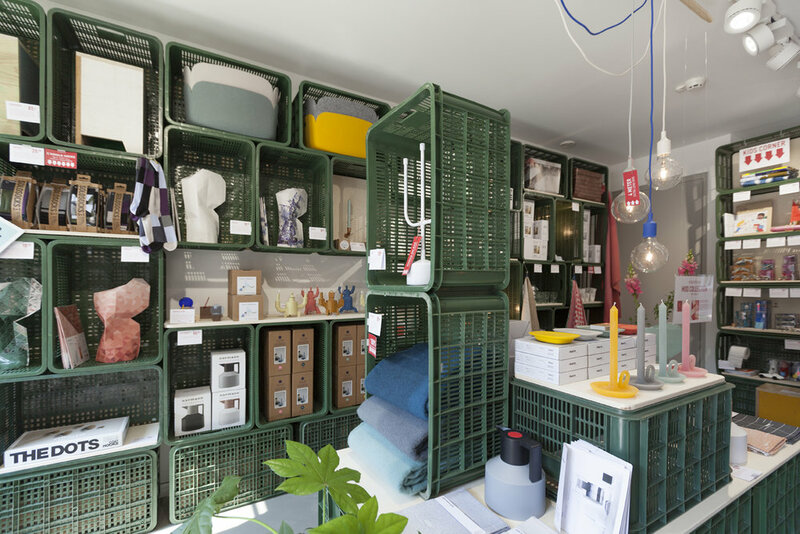 The interior design is low-cost and sustainable (recycled plastic crates). 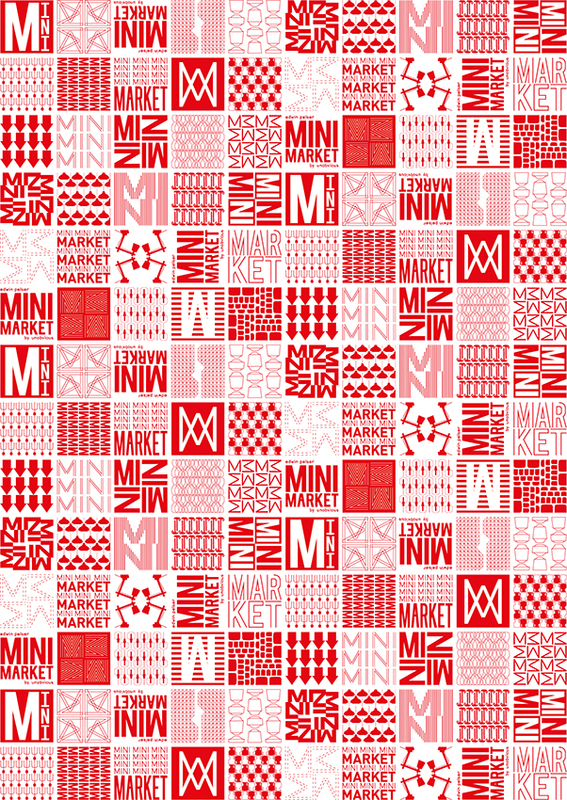 The visual identity was inspired by Dutch supermarkets. 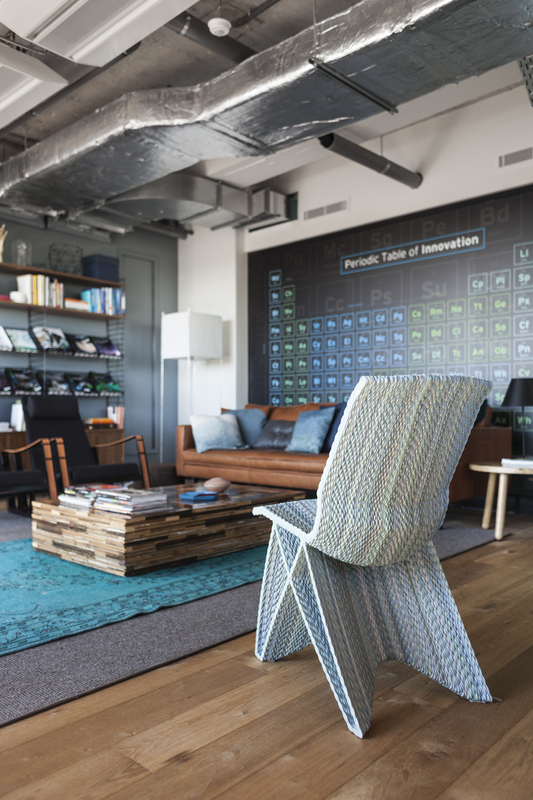 Unobvious developed the interior design concept for Cognizant's Collaboratory in Amsterdam. 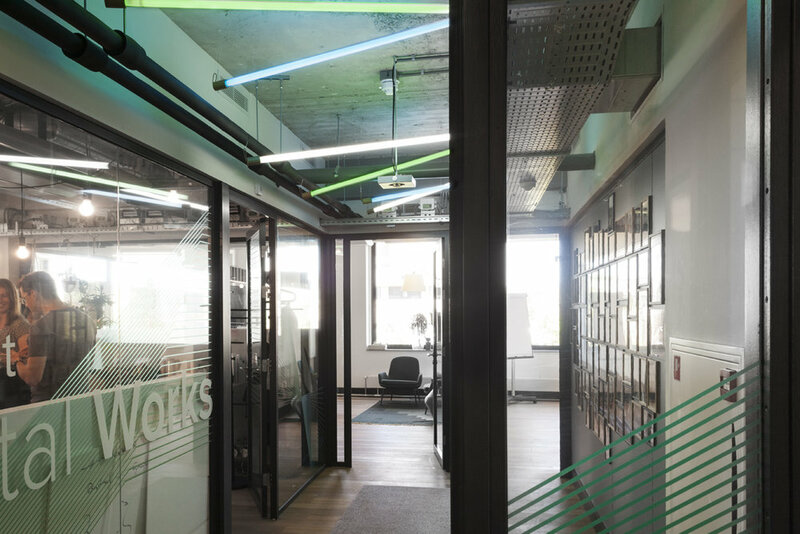 The Collaboratory includes a showcase of new technologies in action, a fabrication space for prototyping, tools for ‘making’ and collaboration. 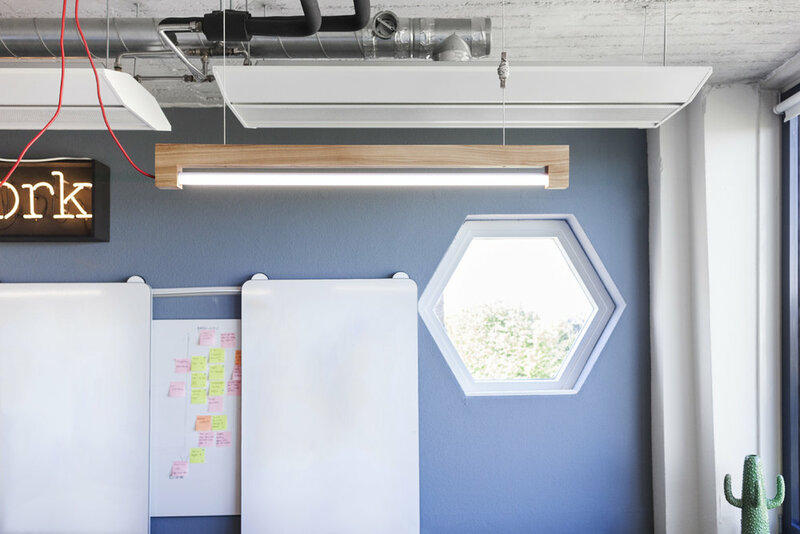 Interdisciplinary teams of strategists, designers, technologists, data scientists, and human sciences experts work in the Collaboratory side-by-side with customers and partners to reimagine business and explore the art of the possible with new technologies. Key elements in the Unobvious interior concept were 'encounter', 'flexibility', 'transparency' and 'Dutch design'. The purpose of the Collaboratory is to meet people, to gather information, to share visions, find solutions, to work in flexible constellations. Hence 'encounter' and 'flexibility'. Since the way new technologies actually function is often hard to comprehend, we looked for a counterbalance in the transparency of the furniture: visible constructions, simple design, honest materials. We introduced Dutch designers and included them in the interior, such as Dirk van der Kooij, Waarmakers, Piet Hein Eek, Marleen Kurvers, Functionals, Moooi and Tonone. Mr Adam Type created a unique screen print. 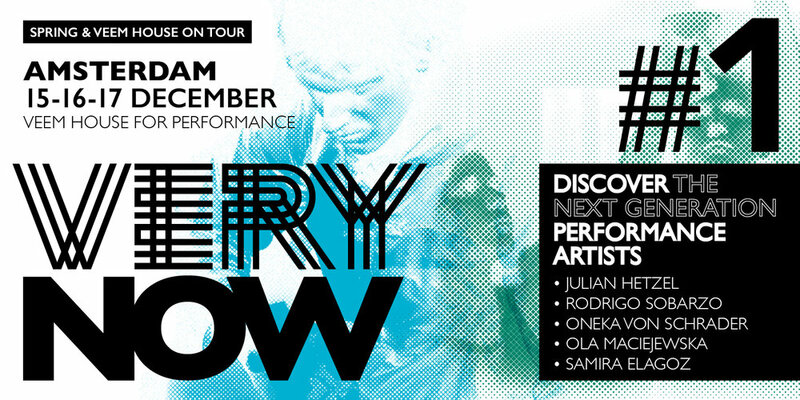 Unobvious developed the visual identity of 'VERY NOW#1", a pilot-touring program focused on highly topical theatre called Performance. This genre is multidisciplinary and focuses on the intersection of theater, dance and installation / visual arts. This project was initiated by Veem House for Performance / SPRING Performing Arts Festival and was presented in Groningen, Tilburg and Amsterdam. The visual identity was used to promote the project on websites, social media and posters. During the 2016 edition of the festival Unobvious was invited to select several performances to attent. After each performance we created a visual review, as a contrast to the written review which is considered a 'normal' format to review a performance. The visual reviews were being used in online communications.